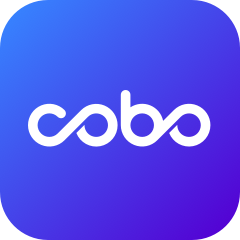 In the Cobo Wallet(Cloud Wallet and HD Wallet) ,we set the login password, PIN code, payment password, mnemonic phrase words and private key etc multiple password. There are different methods to find back or reset. In the Assets page, click" Login Cloud Wallet"----Click" Forget Password"
Enter your cellphone number to receive the verification code. then you can reset the login password which must contain at least 8 characters including two of letters, numbers and special characters. PIN code can be taken as the unlock password and payment password on HD wallet. Note: You can also choose the Touch ID or Face ID which is more convenient. Enter Cloud Wallet page, click the 【...】sign---Click"Setting"---"Payment password"
Memo: You can open the Touch ID or Face ID which would be more convenient. If you forget your former payment password , please click"Forget Payment Password---and submit an request on the customer service page. Note: For the account security, we couldn't complete your request automatically, please contact Cobo customer service and we will fix it ASAP. Therefore, please be sure to ensure backup mnemonics!